Toronto’s most famous Jewish deli has announced it’s sponsoring a screening of the city's Palestine Film Festival, a move met with plenty of kudos — and a little hatred — on social media. 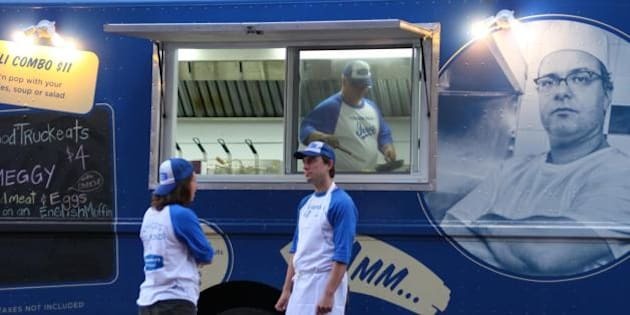 Zane Caplansky, owner of Caplansky’s, announced the move on Facebook this week, amid Israel’s ongoing ground war in Gaza and Hamas’ shelling of Israel, a crisis that has taken the lives of 985 Palestinians and 37 Israeli soldiers, at last count. The “anti-war” Caplansky told the Toronto Star he was affected by the “disgusting” and “brutal” nature of some of the comments about the war on social media, and sought a way to bridge the gap between the two sides. “For a well-known Jewish business in Toronto to publicly support a Palestinian film festival makes a statement of brotherhood, sisterhood and community that I feel very strongly about,” Caplansky told Canada.com. The move has garnered Caplansky plenty of kudos on social media, with many commenters vowing to eat more often at the deli known for its smoked meats on rye. But, unsurprisingly, it also elicited hatred from some partisan pro-Israeli voices, including that of Toronto Sun columnist Sue-Ann Levy, who called it a “disgusting” self-promotional move. @BobReidToronto@Caplansky A class act? Really? I call cozying up to rabble.ca & Palestine House in the name of self-promotion, disgusting. What do you think? Is Caplansky right to sponsor a Palestinian film festival as a move to bridge the gap between the the pro-Israeli and pro-Palestinian sides? Or is he just making things worse? Let us know in the comments below.